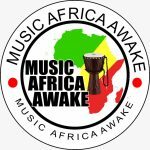 Music Africa Awake (MUAFA) is a non Profit company with an aim to educate and promote African culture, develop African musicians and promote indigenous music across the globe. We also encourage, promote African art, and create a business platform for African art industry (African Music, African Fashion, African Food, Visual Art and etc.). Accordingly, MUAFA considers vital the issue of sustainable financial independence, social responsibility and Black Empowerment in the art industry. We are proud of our history as an organisation and appreciate our loyal members who have made our passage from a small crew organisation to a professional team of qualified personnel we are today, with a fully integrated communication and project management system. Music Africa Awake is a long-term project with the goal of controlled growth through dedicated service. We have locations throughout the country, and welcome requests for services throughout South Africa, Africa as well as abroad. Music Africa Awake maintains a large inventory of the latest materials and equipment to ensure prompt delivery of our project. Our vision is to become by 2020 the most reputable professional African music organisation to provide quality and originality to Africans and the world over. With a proven track record of managing and delivering the project as required and an operational strategy to maintain a full profile of services, To work together sharing best practice for creating an organisational culture in which ethics and compliance are paramount. In all activities, Music Africa Awake seek to advance the objective of maintaining the highest ethical standards and encouraging employees, members, partners and funders to engage in ethical conduct in the pursuit of all our projects. Our values include Honesty, People, Accountability, Integrity, Fairness, Cooperation, Respect, Commitment, Teamwork, Trust, Diversity, Loyalty, Good Citizenship, Leadership, Excellence, Responsibility, Openness, Creativity, Customer Satisfaction, Courage, Dignity, Quality, Safety, and Conscientiousness. To develop a platform for dialogue between Africans as a means of uniting and formalising the African trade platform, Engage and host cultural events, including the Kings and Chiefs and African traditional ruler. 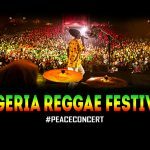 To create cultural awareness campaigns and educate people about the importance of our African Music and culture.